While I can't say I was expecting much at this price point, as $200 is pretty cheap for a projector, the P2-A has too many shortcomings to make it a worthwhile purchase. Portable The P2-A is pretty small. Projection The image brightness is decent for a projector this size. Software Unlike the Nebula Mars, this has the full Google Play Store. Ports The P2-A has plenty of ports for audio, video, and data. Projection (again) The resolution is low, and there is no keystone correction. Design There's no lens cover at all. Battery The battery lasts for around two hours of media consumption, but the percentage remaining is almost always wrong. Software (again) Even with the Play Store, the software experience is not great. 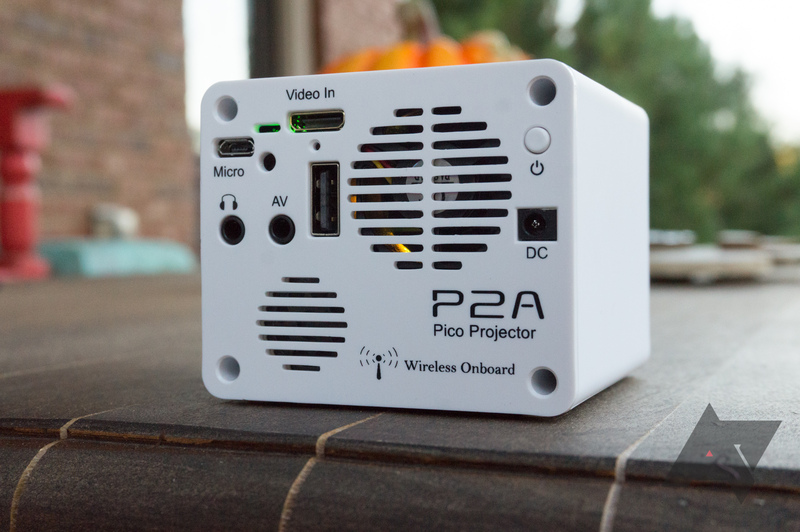 The P2-A is a pico projector, so by definition, it's very small. 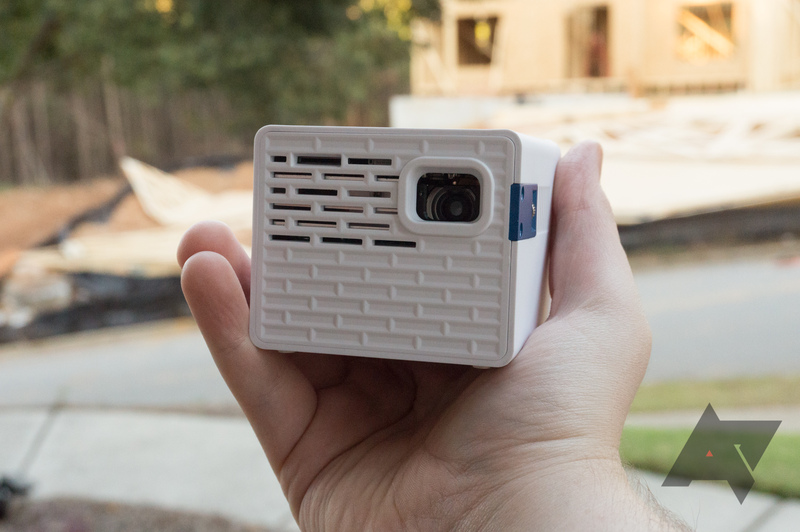 The unit is just 4.2 x 2.9 x 0.8 inches (that's 10.6 x 7.3 x 2 cm for you non-Americans), making it extremely compact and easily portable. It's light too, at just 0.55 pounds (8.8oz). While it's not quite as small as the Amazon product picture would lead you to believe, it's still tiny. The design of the P2-A is purely utilitarian. It's covered entirely in white plastic, with holes on the front and back for air flow. On the front, you'll find the microSD card slot hidden in the top row of fan holes (it's labeled as 'TF Card Slot' in the manual, that's just another name for microSD). The projector lens sits at the top-right, but for some reason, there's no cover for the lens. So hopefully you don't scratch it, or worse. On the side, you'll find a knob for adjusting the focus. The back of the unit is where you'll find all the ports. To the P2-A's credit, there are a lot of them. First is a microUSB port, which is used for easily copying media from a PC (it doesn't charge over the port). Next is a full-size USB port for connecting external media, wireless mice/keyboards, controllers, or whatever else you want. There's also a miniHDMI port, so you can connect almost anything with digital video out, as long as you have an adapter like this. No adapter is included in the box, which is a bit annoying. I bought one so I could make sure the HDMI port works, and it did besides not being able to change the projector's volume. 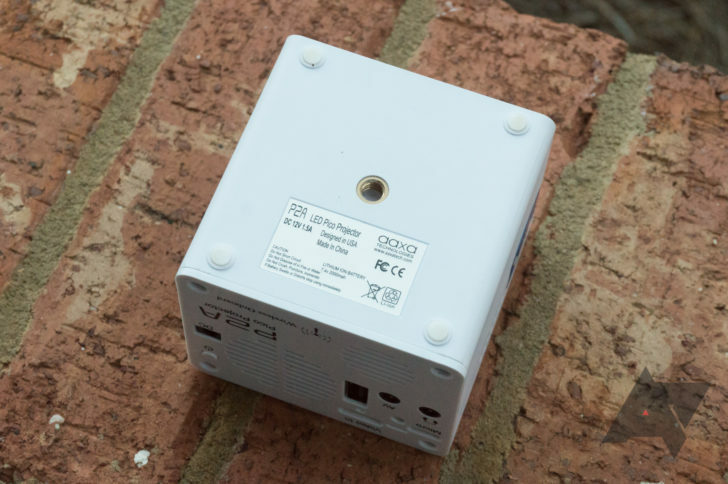 There's also an 'AV' port, which allows you to connect older devices with RCA composite outputs; there's an adapter included in the box that looks like this. I tried connecting an old PAC-MAN Plug-and-Play game (remember those? ), it worked fine, but again I couldn't change the volume. 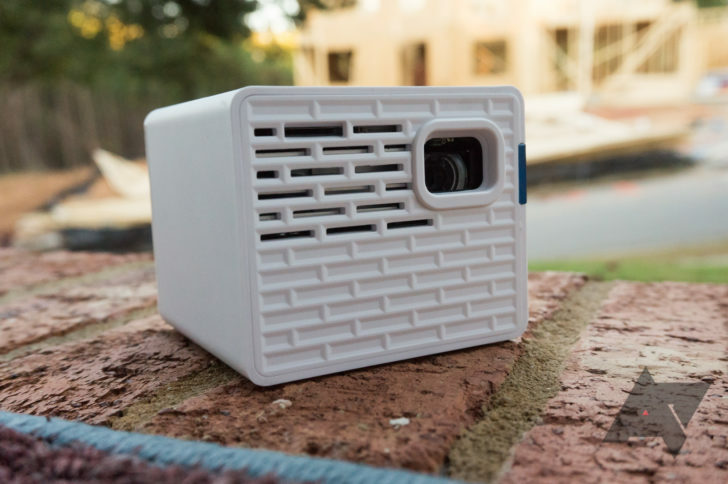 I expect most people won't ever use composite out, but maybe someone wants a portable retro gaming projector setup. Next is the headphone output jack, so you can use headphones or external speakers. You should definitely use alternative speakers if possible, because the built-in speakers are terrible. I realize it's a pico projector, so there's not much room for drivers and such, but my Pixel's speakers sound better than this. They do get decently loud though. Finally, we come to the DC power jack. As mentioned above, the microUSB port is just for data transfer - this connector is how you actually charge the unit. Unfortunately, charging takes a long time, at least in my testing. It took over two hours for my P2-A to go from dead to fully charged, and it only has a 2,000mAh battery - smaller than most smartphones. At the top is the touchpad, which is your main method of navigation. Using this brings back memories of trying to use the tiny touchpad on my ASUS Eee PC netbook - that's to say, it's not a good experience. There is no two-finger scrolling, so if you want to scroll up or down, you have to drag up and down with one finger (while holding the OK button), as if it was a finger pressing down on the touchscreen. The left mouse button is the primary button, so if you're used to right-handed mice, this will be backward. To be completely fair to the P2-A, navigation was also a problem with the Nebula Mars. The good news is that since there is a full-sized USB port, you can easily plug in a keyboard and/or mouse. I used my trusty Logitech K400 during my time with the P2-A, which made my life much easier. The microUSB port can also be converted into a second USB port if you have an OTG adapter. I ended up using my Logitech K400 keyboard (which has a touchpad) for the entire length of this review. 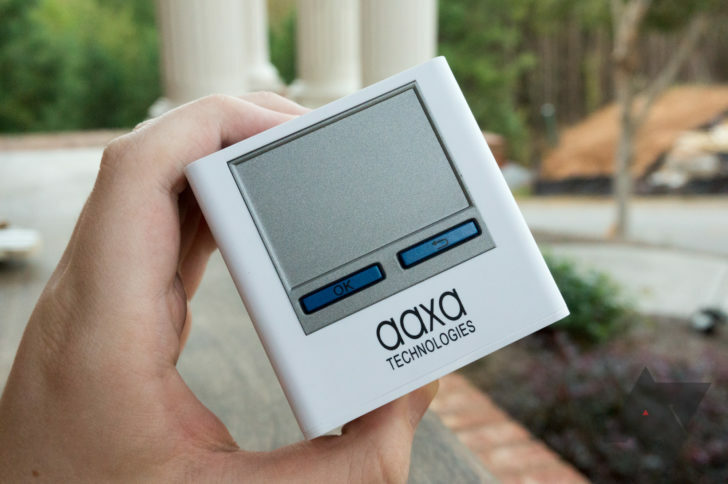 AAXA also includes a remote, which has volume controls, arrow buttons, and media controls. Some Android apps can be navigated using just arrow keys, but most weren't designed for that purpose. At the bottom is a hole for mounting the P2-A on a tripod, and four rubber feet. There is a small bendable tripod included in the box. In summary, the P2-A doesn't have a flashy appearance, but I wouldn't call it ugly. With the exception of no lens cover, there's not really anything wrong with the design. 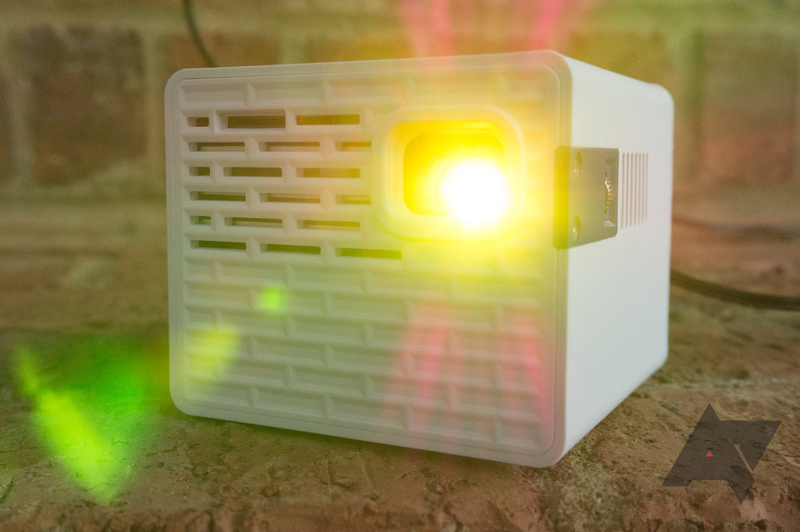 The general rule of projectors is that the smaller you go, the lower the brightness will be. Therefore, pico projectors are usually much dimmer than their theater counterparts. The P2-A maxes out at 130 lumens, which is about what you would expect from a unit this size. The ZTE Spro 2, another portable projector running Android, is 200 lumens - but it's a bit bigger than the P2-A. However, the P2-A tops the InstaShare Moto Mod, which can only pump out a measly 50 lumens. I would say the brightness is fine, as long as you're in a dark room. As soon as you turn on a lamp or open window blinds, you're going to have a tough time seeing the image. That's just a reality with all pico projectors. The above picture has a much greater yellow/blue tint than is visible in real life. The resolution also isn't great - the output is 854x480. As you can imagine, 480p blown up to fill an entire wall is not pretty. But again, this is similar to just about every pico projector on the market. 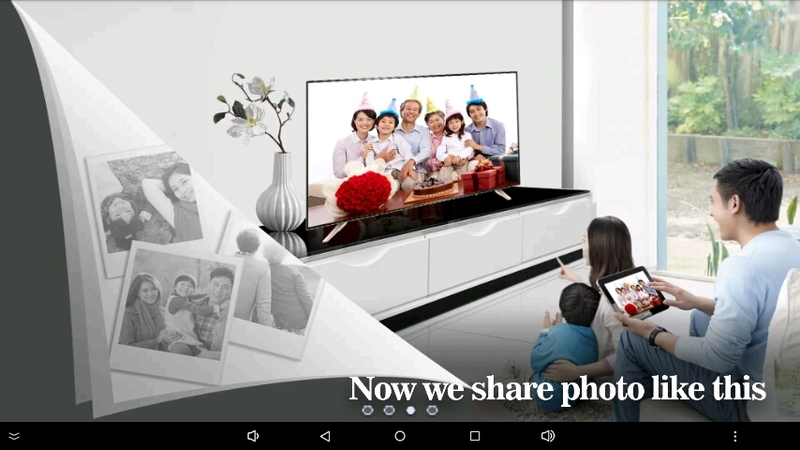 Motorola's InstaShare Moto Mod has the same resolution. The P2-A technically supports an image size of up to 100 inches (254 cm) wide, but you should keep it under that if you want to keep some semblance of detail. One final annoyance with the P2-A's projection - there is no keystone correction at all. Not even manual adjustments. 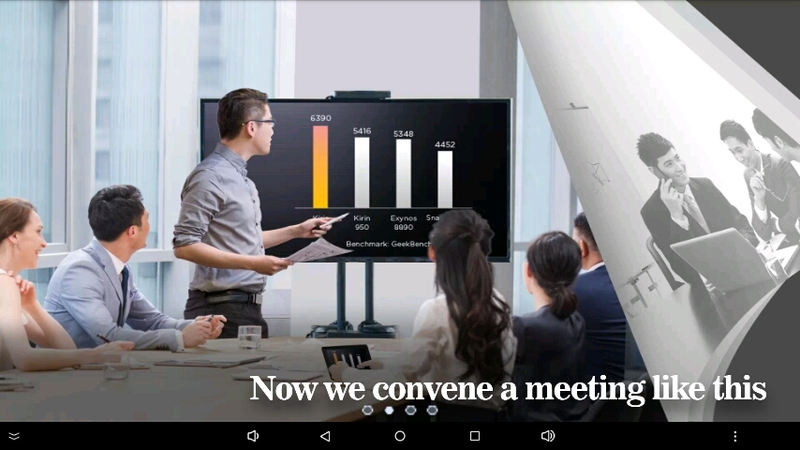 If you're pointing the projector any way than straight ahead, the image will be slanted, with no way to fix it. Under the hood, the P2-A has a quad-core Rockchip RK3066 processor running at 1.32GHz. There's only 1GB of RAM and 8GB of internal storage. 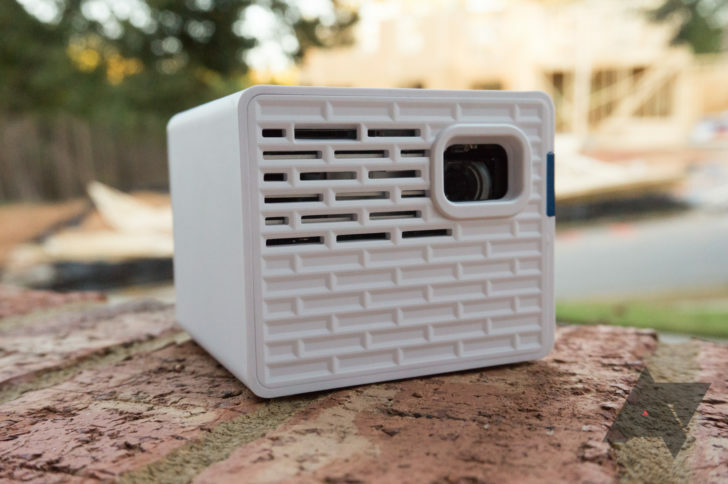 Since this is a portable projector, you probably aren't going to be playing games on it or encoding video files, so the underpowered hardware isn't really an issue. Most applications only take a few seconds to open at the most, and I didn't encounter any hickups while streaming content. AAXA says the P2-A should last around 2.5 hours. For my streaming test, I ran this YouTube video at 480p until the projector died. For a while, it seemed like the battery would last around three hours, given that it was sitting at 50% at around 1 hour 40 minutes. About ten minutes later, I saw a notification warning me of 15% left, and a few minutes later, it shut off. The test ended up lasting 1 hour and 57 minutes. My guess is that the battery isn't correctly reporting the remaining capacity, or there's some other software glitch. 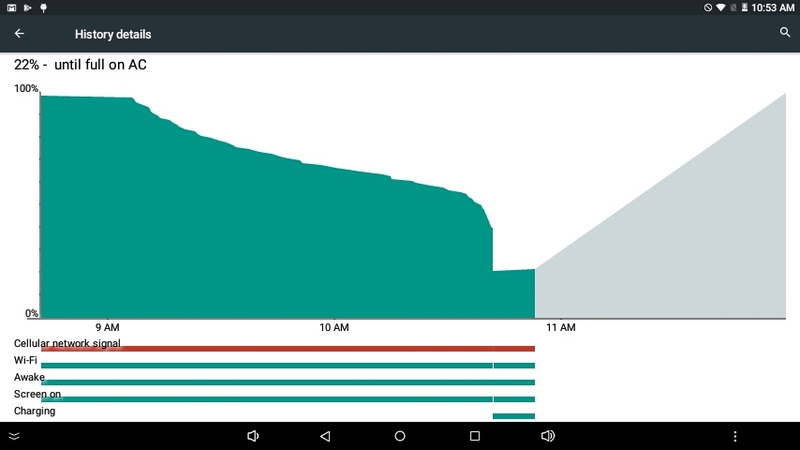 Usually Android will try to power down as the battery is about to die, but there was no warning here. Either way, that's still 30 minutes less than AAXA's claim of 150 minutes. For the local video test, I copied my personal rip of Interstellar to the projector's internal storage and played it with MX Player (the default media player). It was an MP4 file, with a 1920x1090 23FPS video stream (encoded in H.264) and an MPEG AAC audio stream. In other words, your average 1080p compressed video file. The result was similar to the streaming test. At around 1 hour 30 minutes, the P2-A was sitting at around 50%. A few minutes later, I saw the '15% battery remaining' notification, and it shut down with no warning a few minutes after that. 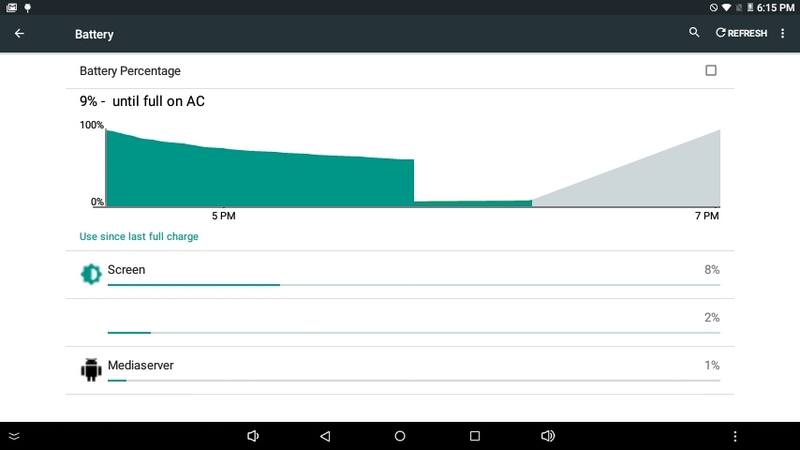 As you can see in the screenshot above, the battery percentage was once again incorrectly reported. In other words, you should bring the charger if you plan on watching a full-length movie, because the battery definitely doesn't last for the rated 150 minutes. And you also can't trust the battery percentage. The software on the Nebula Mars was a mixed bag. While the ancient version of Android 4.4 was an obvious fault, Nebula's custom launcher, menus, and apps were polished and well-done. On the P2-A, you still have an old version of Android (albeit not as old), and the software is the opposite of polished. The home screen, pictured above, looks like a Flash-based website from the early 2000s. Videos and Photos are also the only shortcuts capitalized. The software is the opposite of polished. 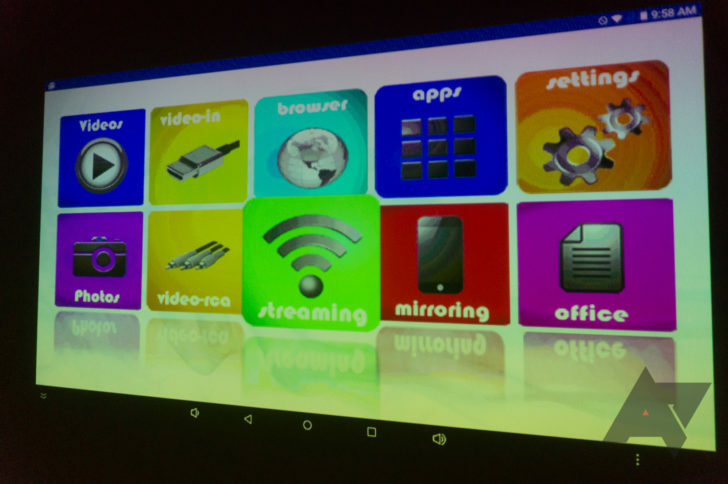 The home screen has shortcuts to open a browser, the screen mirroring app, and a few other functions. 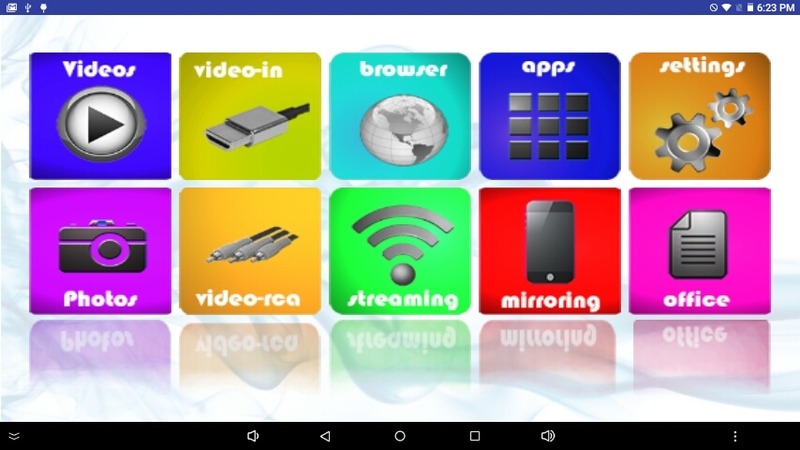 'Videos' opens MX Player, 'Browser' opens the AOSP Browser, 'Office' opens an included copy of WPS Office, 'Mirroring' opens 'Happy Cast' (I'll get to that later), and 'Streaming' contains shortcuts to various streaming services. As you might expect, the 'Apps' shortcut opens the app drawer. Before I go any further, let me go over the underlying Android system. This is a mostly-stock version of Android 5.1.1, which came out in 2015. 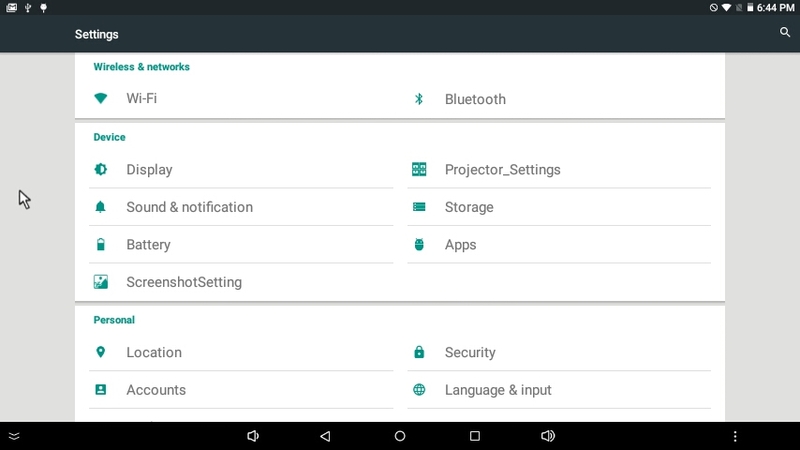 While that's certainly a bit better than the Nebula's KitKat-based ROM, it's still not ideal, and owners of the P2-A could start running into compatibility problems as apps drop support for the aging OS. None of those issues would impact the user experience in any way, but it shows how the OS was put together without much attention to detail. However, there is one glaring issue that does impact the user experience - DRM. I installed Hulu on this projector shortly after setting it up, but when I tried to play anything, I was met with an error. 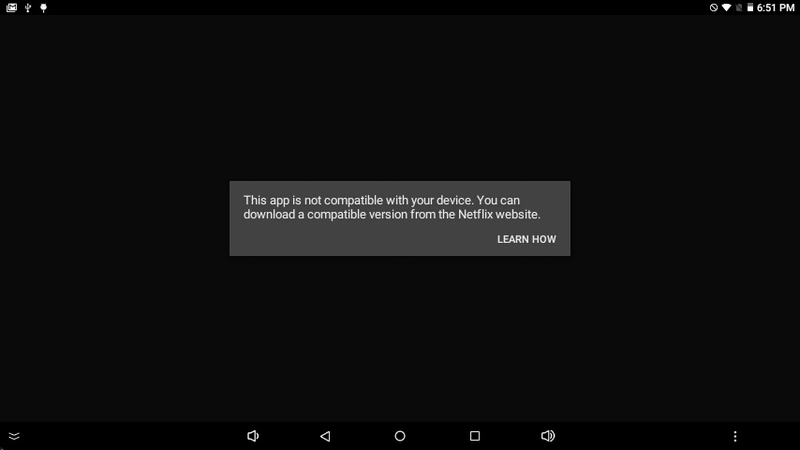 Netflix refused to open at all, simply saying I had an incompatible device. Ryne, a fellow writer here at AP, suggested I install DRM Info to check if the projector was missing any DRM components. I promptly did so, and to my amazement, I found that the P2-A supported basically nothing. No Google Widevine, no Playready, nothing. 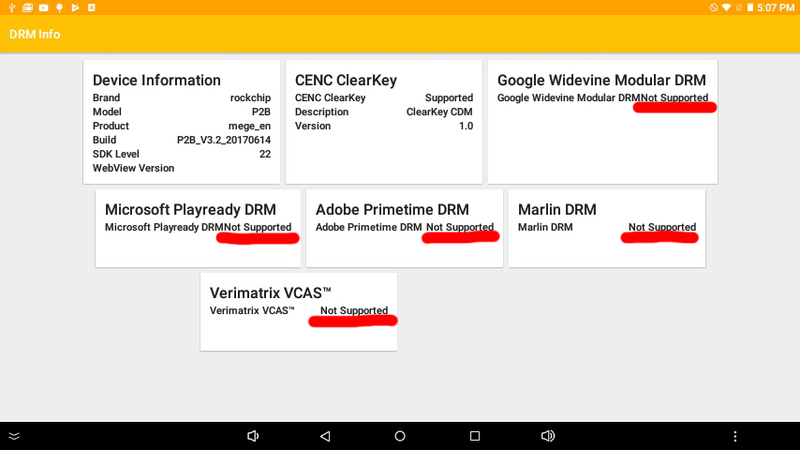 If an app uses any form of DRM, it will probably not work at all on the P2-A. It goes without saying that the lack of DRM support is a major issue, as the huge majority of video services will not work at all. 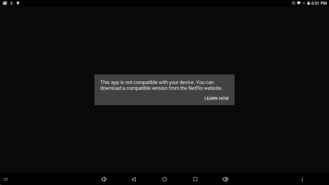 The outdated version of Netflix that ships with the P2-A works, so you have to remember not to update it. And since it's an old version, it could stop working at any time. 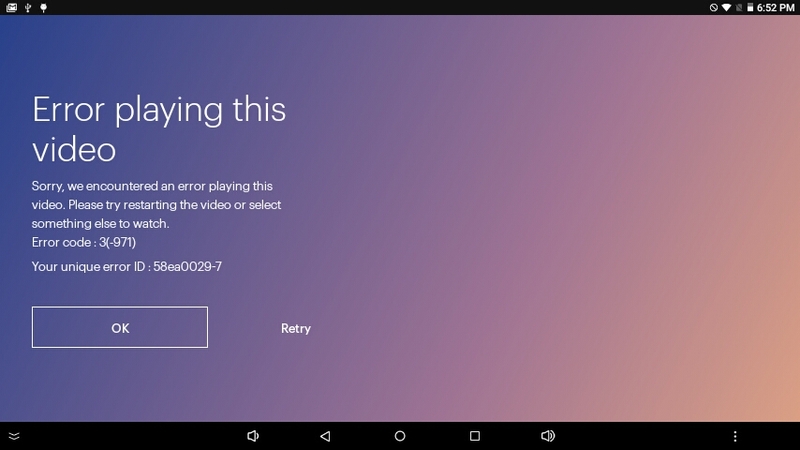 I also tested Google Play Movies, which seemed to work fine. The Play Store reports that the P2-A is 'Uncertified,' so some apps won't be downloadable at all. That also seems to confirm that Google Play Services was included on this unit without Google's knowledge or approval. There's so much to unpack just in these four screens. 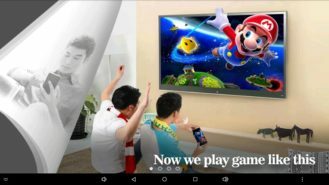 The copy of Super Mario Galaxy somehow playing on a phone, someone writing "Happy Cast now" in a book, and of course, the perfectly translated phrases including "Now we play game like this." Perfect. The app then shows a QR code for the Happy Cast companion app, incorrectly labeled as 'Happlycast App.' The QR code's URL takes you to a direct APK download from this site. 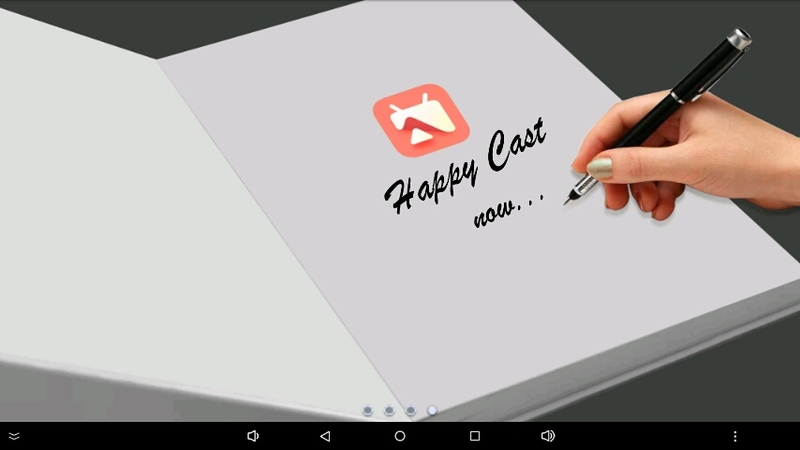 After installation, Happy Cast asks for just about every possible permission, including changing system settings and managing phone calls. 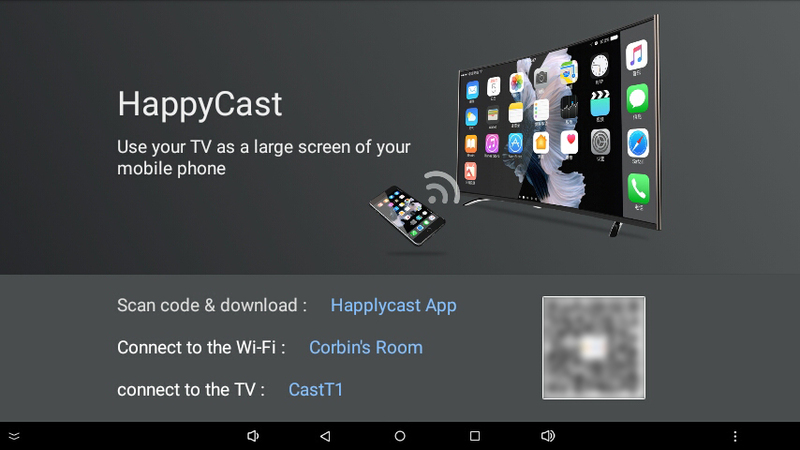 It seems to work even if all these permissions are denied, and the result is something similar to (but slower than) Miracast or Chromecasting. While the P2-A does have a few redeeming qualities, like its portability and vast amount of inputs, they don't make up for the massive number of faults with this device. Yes, the included Android software is newer than the Mars', but Android 5.1 is still almost three years old. On top of that, the home screen looks terrible, almost any app using DRM won't work, and mirroring your phone or tablet's screen means installing a sketchy app from outside the Play Store. 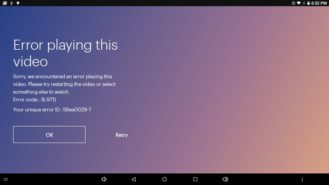 The entire user experience is akin to a circa-2013 Android TV box, where you were stuck using the poorly-optimized tablet UI. Ultimately, I can't recommend the P2-A. It might be a good option for the narrow use cases where it won't have problems, like with playing local video or watching YouTube, but even then you won't get basic features like keystone correction. While the Nebula Mars had software problems, the projection and audio quality made up for it. The same is not true for the P2-A. If you still want to buy one, you can get it from Amazon for $199 at the time of writing. If you're looking for other options, maybe search around for a ZTE Spro 2, although that model is stuck with KitKat. Anker's Nebula Capsule is expected to arrive in stores late this year or early next year, and looks to be a great option - though the retail price is $150 more than the P2-A.